This report should be read together with our communication of April 16, 2017 entitled, “An Introduction to Texas Pacific Land Trust.” For a copy of this report please contact our offices. In today’s oil and gas market, we believe no publicly traded entity is in a better position than the Texas Pacific Land Trust. By virtue of their origin as a railroad land-grant company in the 1800s, they are now owners of vast tracts of land in West Texas. It is simply in the right place at the right time. TPL owns approximately 900,000 acres of land in West Texas, 769,000 acres of which are in the Delaware Basin section of the Permian Basin, arguably the most desirable oil play in the world. The surface ownership is valuable in its own right. Operators must pay TPL a fee for access to their land in the form of roads, pads and right-of-way. In our opinion, it is the mineral rights that will produce the most revenue in the future. Mineral revenues come from royalty interest, and TPL holds some 300,000 acres of 1/16th royalty interest in the counties of Culberson, Reeves, and Loving, three of the six counties in the heart of the Delaware play. TPL is a passive holder, which means that in order to estimate what is occurring and will occur on TPL land, one has to aggregate information of the drilling schedules from operators in the areas around TPL royalty interests. Those companies include Anadarko Petroleum, Apache Corporation, Chevron, Cimerex, Exxon, Occidental Petroleum, WPX and others. We have utilized this information to estimate possible future production to TPL’s account. Bear in mind that, historically, pronouncements about individual company drilling schedules have not been entirely reliable. Often companies do not come close to drilling as many wells as promised. In the Delaware Basin, however, we do gather confidence from the reputable operators named above, and from the remarkable amount of investment in Delaware acreage during the last 2-3 years alone. Companies simply must drill to keep acquired rights and get their money back. We know there are 174 rigs operating in the Delaware Basin today and 310 operating in the Permian. (These are horizontal rigs). Each rig can drill, but not complete, 15 – 20 wells per year. For the moment, it appears that the majority of wells in the Delaware are not being completed as operators are still drilling to hold acreage and delineate zones. By all reliable accounts though, a transition to pad drilling is forthcoming and thus the pace of drilling and production should accelerate in the second half of 2017 and thereafter. Among the known details about oil and gas activity at TPL, the important facts include: average volume attributable to shareholders (on a BOE/day basis) was about 1000 in 2015 and about 2129 in 2016. There were 60 wells drilled on TPL royalty land in 2015 and 110 wells in 2016 (some wells were drilled on 1/128th royalty acreage and those have been aggregated into the total number of wells by dividing by 9 in order to approximate the total at a constant 1/16th royalty interest). One would expect that if there were more than 100 wells drilled on TPL land in 2016, production should have gone up more than 500 bbl/day, even at a 1/16th royalty interest. So, why the discrepancy? What occurred is that in 2016 and 2015 a majority of the wells drilled were not completed and producing. To get 500 barrels per day at their 1/16th royalty, at the average IP rate in the Delaware, only about 15 fully producing wells are needed. The rest are DUCs (Drilled UnCompleted wells). More than likely, more than 15 wells were completed but those have been restricted until gas and oil pipelines are completed. That leaves a large inventory of DUCs which will be completed over time for TPL, just as the pace of drilling is set to accelerate. We estimate the DUC inventory on TPL land is about 120. (We will be able to refine this estimate soon as TPL begins to provide guidance on this number.) Meanwhile, operators in the Delaware have generally said that the drilling pace will accelerate in late 2017 and 2018. To TPL’s advantage, we believe the pace of drilling will increase to 200 wells in late 2017, and to 300 wells a year in 2018 then stay there for years. We have based our estimates on the number of rigs now running in the Delaware and the areas in the Delaware where they are known to be operating. The following charts lay out, based on our assumptions, the number of wells that might produce for the benefit of TPL and the possible total production flowing, at not a penny cost to TPL shareholders. The first table represents the yearly and cumulative production of one well drilled in the Delaware per year, each producing at the current average rate and following an established average decline curve. That depletion rate reduces production 70% in the first year on average and 30% a year for the next four years. Thereafter we estimate the rate of decline to be 10 bbl/day through 10 years. The chart is useful when estimating any number of wells drilled at a constant pace, almost anywhere in the Permian. 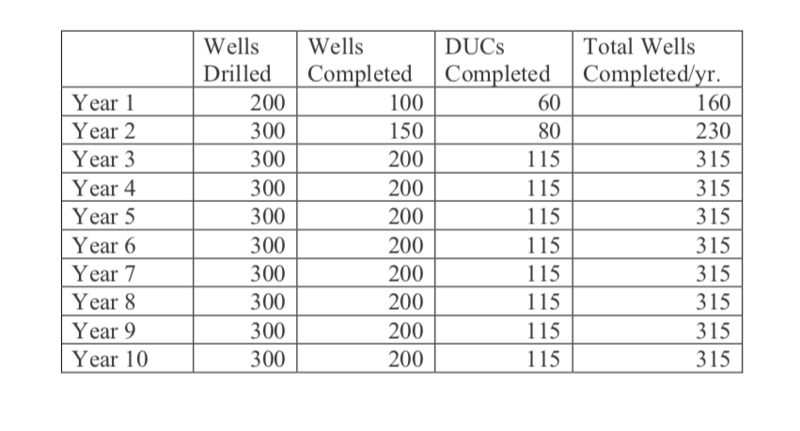 The following table illustrates our estimates of the number of wells that are likely to be drilled on TPL land in future years and incorporates an orderly schedule of completion of those wells. The accelerated schedule listed should begin only in the second half of 2017. So the estimates we show are for a July to July year, rather than the calendar shown in the other tables. 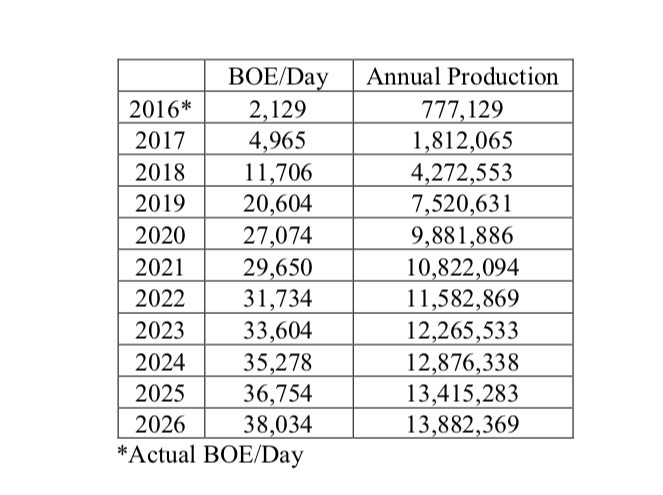 The following table estimates the production we expect for TPL’s account based on a steady drilling program by operators over the next few years. These numbers incorporate our estimates for the lag times of completions as opposed to the drilling schedule. This last table shows our estimates of all future revenue for TPL including a new category of water sales to operators in need of water for fracking. Texas Pacific has made two important disclosures recently. The first is that they expect to tell shareholders the number of drilled but uncompleted wells (DUCs) on which they will share revenues. 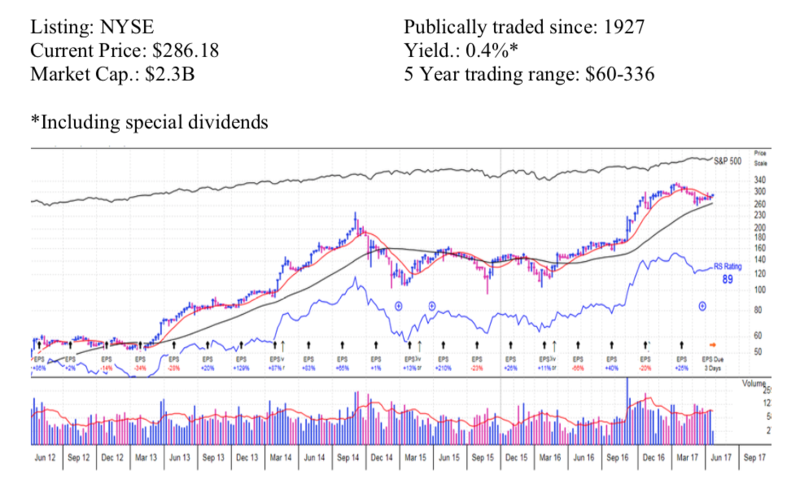 That information could come as soon as late July with the next earnings announcement. Secondly, they have told investors they are looking into developing their water resources as an additional source of revenues. Unlike mineral rights, water rights belong to the surface holder. TPL is one of the largest landholders in the Delaware. Pumping water from shallow but brackish formations could mean significant revenues in the future as operators will need vast quantities of water in order to drill at the pace the industry anticipates. The combination of these figures indicates that revenues for TPL will be much higher quite soon and will continue to increase as long as drilling and production continue in the Permian. We expect drilling to continue at an accelerated pace for years and for production to continue as long as the world uses oil and gas.